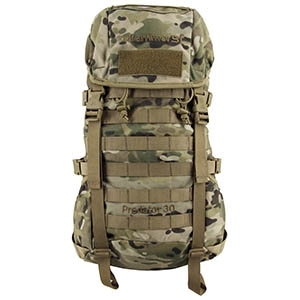 A lightweight and effective day sack, the Predator 30 includes modular webbing which allows a wide range of pouches to be attached. Longer items such as skis can also be carried on the sides of the pack. 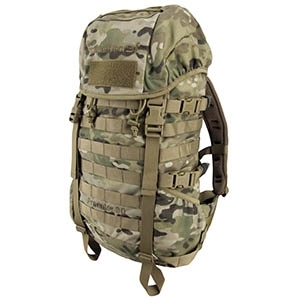 Includes elasticated side pockets and a zipped lid compartment. 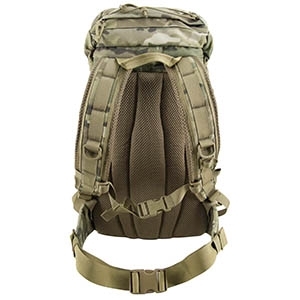 The Predator 30 pack is ideal for both short patrols and with the addition of modular pouches for longer ventures.